With so much important news in the world, such as Donald Trump freeing three American prisoners from North Korea, Iran and Israel trading blows, and with the Democrats wondering how they can spin something out of this never-ending non-story that the whole Stormy Daniels debacle truly is, we thought we’d shift our attention to something Kardashian related for a change. So, basketball player turned in-house Keeping Up With the Kardashian’s member, Tristan Thompson, who’s loved up with Khloe Kardashian, has now come clean about his cheating escapades whilst Khloe was awaiting to deliver their baby. Call it cold feet, call it really poor choices, call it one last tango, or just call it plain old stupid? Regardless, Tristan Thompson was caught cheating just days before Khloe Kardashian was to give birth, with no less than what is said to be three women. Perhaps five if kissing counts… There was the photos and surveillance by the paparazzi to prove it, especially in the case of that one woman that he brought back to his hotel room in New York City, with the details up to anyone’s imagination. A source close to Tristan told US Weekly that he was “absolutely devastated” and also “relieved” at the same time that he was caught cheating on Khloe Kardashian at that time. The Cleveland Cavaliers player reportedly broke down in tears in the hospital room after Khloe had given birth, very upset about how he betrayed and hurt Khloe at that very sacred moment in their lives. Well, you’d have to be pretty mixed up to do such a thing in the first place, one would think. Maybe it was just a case of the pregnancy sending Tristan into a panic, perhaps there was grounds for him in being tempted by these conniving women, wishing to get a story out of it or something. Who knows? Tristan claimed that he felt pressured to not turn the women down, since in the NBA, it’s the unspoken rule outside of the game to hookup with groupies on a regular basis. Tears were shed, a catastrophe was avoided, and somehow Khloe Kardashian has been the bigger woman and taken Tristan back from the brink of a truly insane 360 spin, by a man who was expecting a baby. Incredibly, he was still playing on the court just a week after it all went down. Khloe, 33, recently let Tristan, 27, move back into the house that they share in Ohio City, and the new addition to the family, True Thompson, has surely brought them together through this tough time. So there you have it! Even when a man is caught red-handed by his girlfriend about to go into labour, if you play your cards right, and are genuinely sorry, and instead of saying “It wasn’t me? !” instead actually confess your sins and then beg for forgiveness, only then will you be forgiven for your ultimate betrayal. 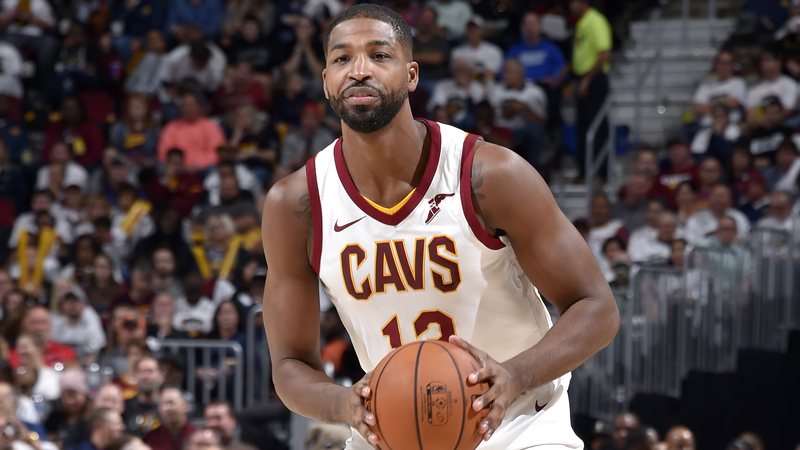 Well, we suppose it depends on the circumstances, but Tristan Thompson surely has some game, both on and off the court, if this story is anything to go by. Everyone makes mistakes, though… even whilst being trailed by the paparazzi. Previous Article← Is Wayne Rooney Set to Move to DC United?